...These all come together in a delicious mix in our retail playground. We welcome you into a bright and fun atmosphere where you can be "a kid in a candy store" while enjoying sophisticated flavors and the fine Vermont ingredients in our truffles, cakes, pies and hot fudge sauce. In the store our chocolates, buttercrunch and pastries are presented beautifully and with a bit of fun! 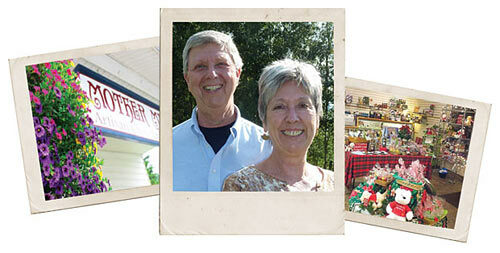 Ron and I always bring a sense of whimsy and celebration into our products and relationships with our customers. Imagine the aroma of just-baked pies, the sparkle of cellophane on gorgeous gift baskets and the smiles of friendly staff! Discover the tantalizing taste of Lemon LuLu Cake or lemon almond brittle. And while you're here, sample our signature buttercrunch with its crisp toffee center, dipped in chocolate and rolled in fine almonds and cashews...all while you relax in the welcoming atmosphere of the shop. Events that encourage the participation of community kids are a vital part of what we do. The Summer Fun Reading Program, Kids' Cakes for Mom and our annual Easter Egg Decorating Contest bring families together in new ways that keep us all young! Along with LuLus for the Cure (a benefit for our local Race for the Cure), these annual events give us a chance to meet new people and greet old friends. Please visit Manchester and our wonderful store, and help us celebrate life's events! We're open every day!